Not all of us love the gym. For whatever reason, going to the gym isn’t always an option for everyone who wants to bulk up their muscles. One thing is the cost of gym memberships that can be a few hundred dollars. And if you prefer an upscale option, the fees would be half the price of your mortgage. Some bodybuilding newbies hate the gym for one thing: the pressure. Being a skinny guy surrounded by well-carved brawns is intimidating, not to mention discouraging. With this, some opt to build their own workout space. So you ask, how much does it cost to build a home gym? The expenses depend on the equipment you’re going to purchase. If you want a well-rounded home gym complete with sets of weights, you would have to shell out more. Still, this is an excellent investment since you’ll own the workout gears instead of paying for a monthly membership. Home gyms are becoming a trend due to the freedom and flexibility it offers. Whatever the weather is, you can always hit a few reps. It’s also an excellent option for busy parents who can’t leave the house for their workout. And if you have family members who are also fond of working out, building a home gym is a great way to encourage bonding time and fitness. Muscle building is synonymous with lifting weights. The number one equipment you should have in your gym is a humble set of barbells. But how much does it cost to build a home gym? It doesn’t have to be the commercial one with a few feet in length. You can stick to pair like the ones from CAP Barbell. This will allow you to lift a variety of weights in a very space-conscious way. It comes with a 40-pound set and plates weighing 2.5 and 5 pounds. You’ll also get collars and a storage plastic box. The good thing about having a barbell like this is you can disassemble everything and stash it in a small storage container. But in case you can accommodate a bigger barbell set, check out the USA Sports Olympic Barbell. It has a 300-pound weight that comes with a durable black bar. The weight sets have a wide range of denominations for flexibility. It might be an overwhelming option for newbies, but a very worth it investment for those who are upping their workout game. So you ask, I already have a pair of barbells, why would I need kettlebells? How much does it cost to build a home gym with this excess? This type of weights is made for a reason. 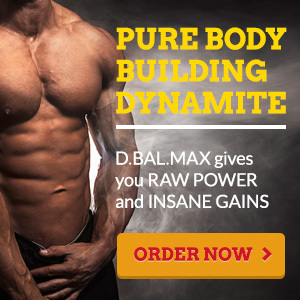 It allows you to target a variety of muscle groups without having to stress the entire body. It’s an excellent muscle builder that challenges your physical power and endurance. Some of the exercises done with kettlebells are swinging, snatching, and windmills which are all dynamic routines. Performing this together with your static lifts will bulk up your body even more. One of my personal choices for kettlebells is the Yes4All Solid Cast Iron Kettlebells. It’s a no-fuss equipment that although lacking in aesthetic, is a champion in durability. Am I the only one who’s crazily paranoid about the handles getting off from that ball of iron? This 15-pound iron bell is solid and has no welds, patchwork, or seams. It’s painted black with a smooth handle. However, it’s not padded which could be a little uncomfortable for long sessions. How much does it cost to build a home gym? Is buying dumbbells if you have barbells redundant? Nope! These tiny weights are one of the indispensable home equipment, especially for beginners. The pounds on this equipment are smaller than barbells and best for mild workouts. One of the best functions of dumbbells is correcting imbalances between the limbs which could become more problematic when you lift very heavy weights. It’s also safer than barbells, but it has a limit to it, I must say. If you want a starter set for your home gym, the AmazonBasics Neoprene Dumbbell set is unbeatable. The 2-3-5 -pound weights are clad in neoprene padding for an easier and safer grip. These three pairs can be used for strength training and additional lifts for exercises so you can maximize your muscle building routine. It comes with a weight stand so you can stack it back in one place. But if you’re a tough guy who wants to go big, I recommend that you get the CAP Barbell Hex Dumbbell Set. It’s a set of five pairs with weights ranging from 5 to 25 pounds. It also comes with a rack for easy keeping. Aside from the usual weights that will truly pump up your muscles, one of the most overlooked equipment is the suspension trainers. It’s an excellent tool for core strengthening and stability. This is the best if you’re already starting to see bulks of muscles. It ensures that your guns are strong and well-stretched. Other benefits of performing strength training at your home gym are posture correction, better circulation, and targeting more muscle group. So how much does it cost to build a home gym? It’s not too much if you want to bulk up. This suspension trainer from TRX Training (which I couldn’t recommend enough) is so far the most reliable package I ever saw. It’s complete with training straps, anchors, and a circuit training guide so you can get started right away. This is pro-athlete tested so you’re assured of quality that the straps won’t rip while in use. The good thing about a suspension trainer set is you get a powerful tool without eating up much space on your house. It’s also mountable anywhere which makes it a very flexible and low maintenance equipment. If you’re performing workout routines at the gym for quite some time now, you’ll know the wonders foam rollers can bring. It’s a great post-workout tool that can be used for cooling down. You can roll your back and legs with it to give the tired muscles a good massage. It can also be used during exercise drills. This is best paired with a medicine ball like the one from Marcy. So how much does it cost to build a home gym? It’s not that expensive with these additions. The LuxFit Foam Roller is an excellent choice if you’re looking for one. It’s a speckled roller that’s made from high-density foam that won’t disintegrate when used under intense pressure. LuxFit comes in different sizes so choose one that suits your needs. You don’t need a lot of foam rollers, in my opinion, so getting the longer one would be the best bet. When using a foam roller, avoid hunching or else, it would sabotage your posture and strain your muscles improperly. Also, roll slowly so you’ll achieve the benefits of better circulation and relaxation. Besides, your body isn’t a piece of dough under a rolling pin. One of the trademark routines for muscle building is the bench press. It’s when you lay your back flat on a bench and then lift weights. It’s not enough that you get the right combination of plates here; you should also get a trusty bench. This will ensure that your back is secured and you’re far from sustaining injuries. I suggest that you purchase a bench made specifically for gym purposes. These models are sturdy, unlike the usual benches you have at home. How much does it cost to build a home gym with this equipment? You don’t need a lot of fuss for your gym bench. I actually love the Marcy Utility Flat Bench because it’s straightforward and doesn’t have parts that will get loose. This is made from heavy-duty with a well-padded surface for total comfort. It can hold up to 300 pounds of weight, pretty secure for bench presses and other impact routines. Of course, you’re free to purchase adjustable benches like the one from Bowflex. But if you don’t have the money and space to accommodate it, a simple one will do the job. Never underestimate the power of cardio. This will be your go-to routine during your active recovery days and when you can’t flex too much. Spin bikes are excellent equipment since it covers a lot of body muscles from head to toe. This will also save you from the need to go out and hit the pedal of an actual bicycle. It’s a workout saver during rainy and very humid days. How much does it cost to build a home gym? The first reaction here would be spin bikes are too bulky for small home gyms. Some models are really big, but you can always get a foldable one to fit it in on your home. One good example is the Exerpeutic Magnetic Upright Bike. It has a compact design but not at the expense of functionality. This has a wide seat which is excellent for the ladies, eight levels of tension, hand-pulse monitor, and more. If you’re a big guy, the 300-pound user weight allowance will give you peace of mind. Even bodybuilders recommend that you perform some cardio during your workout week. It keeps your heart in check. Toning those biceps? If you want to join the “gun show” of your friends soon, it’s time to flex those muscles using a pull-up bar. By pulling your body up using barely your arms, you’re giving your biceps a massive stretch. It’s also training your core to build more abdominal muscles. And since it causes more than one joint movement, using a pull-up bar is guaranteed to target a lot of muscles at the same time. If you are fat and wants to convert your mass to muscles, a pull-up bar would be very helpful. I must say that nailing a lift in the pull-up bar takes practice and skills. Still, you can start slow and try to reach a certain elevation one inch at a time. In case you don’t have space to set up a floor-mounted pull-up bar set, I recommend that you get the one from Sagler. This is a chin-up bar trainer mountable to the door or wall so you can perform dips and crunches without eating much space on your house. So how much does it cost to build a home gym? It’s not really pricey. A cluttered home gym isn’t inviting for anyone. Use racks and organizers to keep your equipment in the right place and to save more space in the long run. Organizers will also lengthen the lifespan of your equipment since it will be far from damages and accidental bumps. For your dumbbells and other weights, I recommend the Marcy Multilevel Storage. It’s a compact rack where you can stash plates and bars on its three-tier structure. For your ropes and suspension trainers, the IRON AMERICAN Multi-purpose Hanger will be perfect. It’s important that you maintain the safety of your home gym at all times. One of the crucial parts is securing the floor where you’ll perform workout drills. Get a mat made for exercising, like the one from Gorilla Mats. It’s wide and made of shock-absorbing materials that are made to last. Lastly, you would want some mirrors around so you can see your flexing. This will ensure that you’re doing the routines properly and you’re not going to hit someone standing behind your back. It’s just an optional addition, but it serves a certain purpose. The one from TroySys is a great piece. So how much does it cost to build a home gym with all these? Depending on your options, it doesn’t have to break the bank.